Feeling your Sweet tooth wanting something special? Try one of my favorite chocolate dessert recipes. 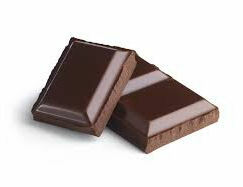 They are all rich and flavorful and will delight even the most ardent chocoholic. Whether you are looking for a piece of chocolate bark or something as elaborate as the chocolate blooming onion, one of these desserts is just perfect for you. The recipes will tempt your sweet tooth or your need for a “chocolate fix” just beautifully! Triple chocolate Cheesecake with Kahlua Frosting. For more great chocolate recipes, Please visit my Facebook page. I’m really sorry, but I am trying to find the recipe for the blooming onion, but I can’t seem to find it. I found a page that has pictures of what I think is the beginning process, but no directions. Sorry to be a pain, but could you point me in the right direction please! Thanks so much for your help! Not a pain at all. It always helps to know if anything about the site is hard to navigate. The list of recipes under the pictures have links to the recipes in them. If you click on the words chocolate blooming onion it will take you to the site.